Houston, Texas Hotel's Guests Prefer ComfortWhether you are here for a night or for an extended stay in Houston, TX, our hotel's location serves your needs. 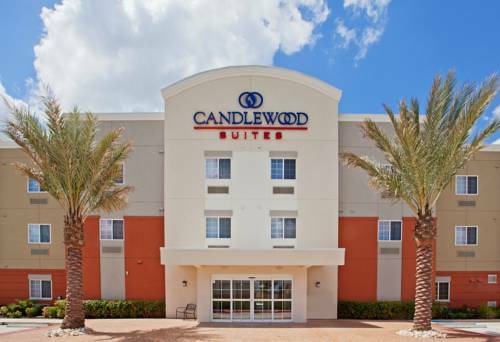 Escape the hustle and bustle of downtown and enjoy the suburban surroundings of the Candlewood Suites Houston NW Willowbrook hotel on the northwest side of the city.Begin your stay with a shopping visit to the nearby Willowbrook Mall, just 1.5 miles away, or take the family ice skating throughout the year at the Aerodrome indoor complex. Adults enjoy the horse racing at Sam Houston Race Park, just a few minutes away. Should you decide to explore downtown Houston, TX, our hotel's location is a short drive from popular destinations like the Museum District and Minute Maid Park.Business travelers enjoy the convenience of having a 24-hour Business Center and our complimentary services, as well as the short distance to area businesses like Hewlett-Packard, Baker Hughes, BJ Services and IKON. Let us be your office away from home during your next visit to Houston, TX.Our hotel's amenities are designed to make your visit a relaxing one. Enjoy the outdoor pool and barbecue grills, as well as the free high-speed Internet access in each one of the hotel's suites. An extended stay in Houston, TX is made more convenient with our complimentary laundry facility and a 24-hour Fitness Center. Book your stay with us today at our north Houston hotel and you'll see why guests "Consider Us Home." They create and serve dishes and spirits that define the Texas version of dining. From the decor to the menu, they take pride in being Texan. Menu is a variety of items including steak and seafood. Willowbrook mall is located just .5 miles from our hotel. Enjoy a day at the mall with family or friends and shop til you drop at the Willowbrook Mall. A wide variety of stores are inside of this mall plus a food court.